I love the brand NYC and their eye shadows are amazing value at €1.99. Their colour In Vogue is a beautiful bitter lime/chartreuse colour. 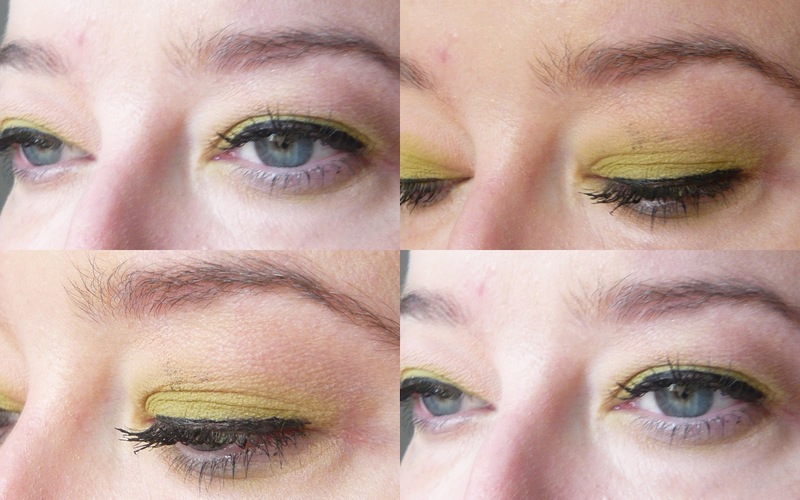 Its the kind of bold colour that can look intimidating but you can simplify the look with just a dash of liner. It is also a bit of a magical dupe - it works as both a dupe for Nars Rated R and for MAC Bitter. 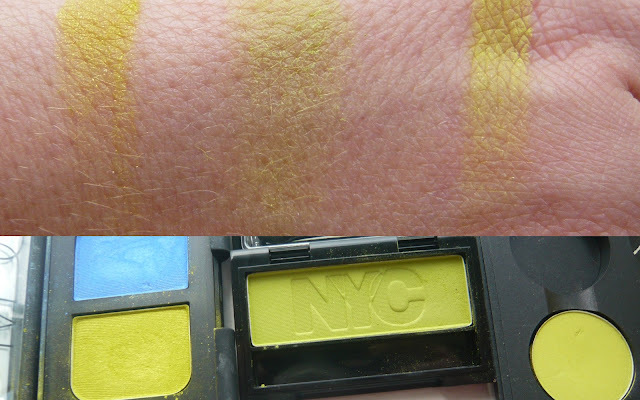 Below we have Nars Rated R, NYC In Vogue and MAC's Bitter - while granted NYC's offering is less pigmented after one swipe, it is buildable and brilliant if you want to achieve the look without spending a fortune. It's a vibrant in your face colour but don't be afraid (some people will find it obnoxious - I love it). You can build up the colour from a sheer wash to full on bold colour. Below is one swipe. To go with the shadow I used NYC High Definition Liquid Liner which is an amazing €2.79. This is a felt tip liner which gives a really precise line (the tip is quite firm).